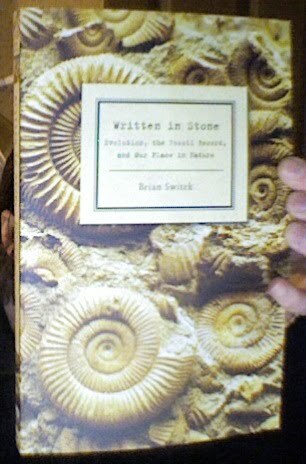 I have been much looking forward to seeing this book which arrived this morning: Written in Stone by Brian Switek. Its subtitle is 'Evolution, the Fossil Record and Our Place in Nature'. Given it is such a long time since I studied this subject at university I have long felt the need to be brought up to speed. and a goldfinch, burnished bonze. 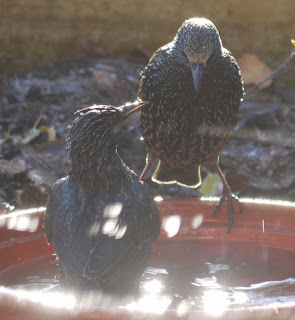 Go outside, and they fly to tree and rooftop: thrumming their wings, small scraps of feathers drifting down and catching the sun like glitter, with such an air of impatient expectation that it seems unkind not to go in again and leave them to do their icy bathing in peace. 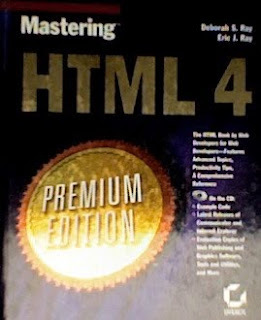 It was originally bought for Hodmandod Minor when he too expressed an interest in learning webdesign. However, I am thinking maybe this is the book is the wrong one for me. Maybe what I need is not 'mastering' HTML but something more like 'dipping-my-elbow' into HTML just to test the water. (And luckily, RapidWeaver seems to involve no HTML at all at first glance, which fills me with a large amount of optimism). Since it is Black Friday I have availed myself of a few bargains: a new keyboard and Magic trackpad from Apple for my big ol' desk computer (because my ol' RSI is playing up again), and RapidWeaver software from SmithMicro because one of my new year's resolution is to learn a little about webdesign (just because I think it may be good for my brain). Obviously, there was a lot more stuff I could have ordered from the Apple shop, but I decided to exercise a little restraint. 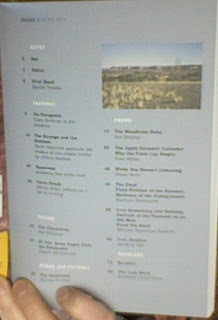 I am very pleased to see them - I don't think I've ever had my pictures published before (except for the one I gave the author of a biography of Alfred Wegener). Here is another on the title page of the book. 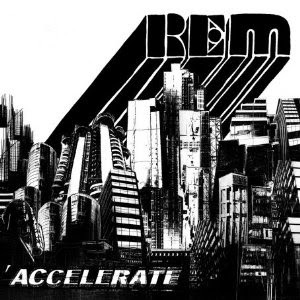 There's a great variety of material here but what immediately engaged me was Rebbecca Ray's memoir. I found myself reading it all the way through at once, and I am now feeling staid and overcautious in comparison. 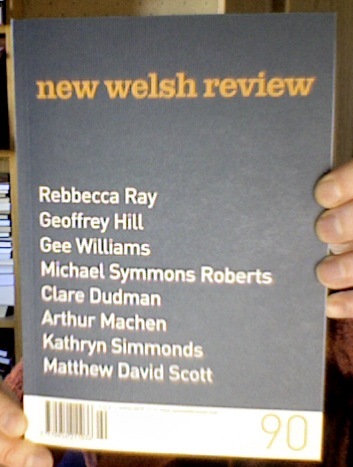 There's lots of other fascinating stuff too that I am looking forward to reading: short stories from Gee Williams and Robert Minhinnick - and lots of poetry. It comes out four times a year and I noticed on the NWR website that if you subscribe for a year you get 20% off - so I did. 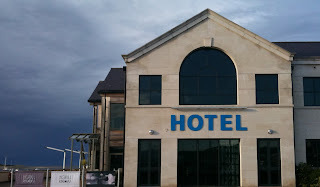 It looks like good value to me. You do not do what you promise. I wanted to cry into the blogosphere that no one loves me, that my world is falling apart, that there really is no point in carrying on, and all you did was refer me to a forum on FAQs. 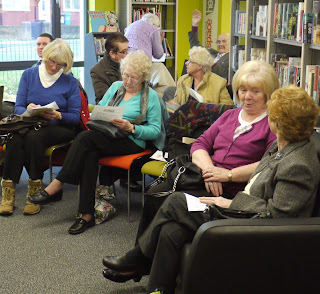 An afternoon at Halewood Library. Halewood Library on Merseyside is a fine place: great library and helpful, friendly librarians. 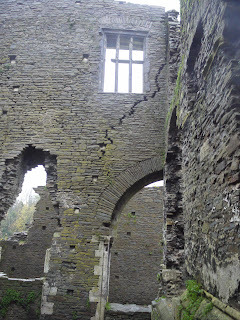 In contrast with my experience at a certain internationally renowned literary festival earlier in the year, a young chap called Stuart, who knew exactly what he was talking about, helped connect my computer to a splendidly large TV which everyone could see, and it all went very well. The audience was enthusiastic - a combination of members of a local reading group and creative writing group - and I had lots of interesting questions about my novel. Some of the audience filling in feedback forms at the end of the session. I had a thoroughly good time. Thank you Halewood Library! 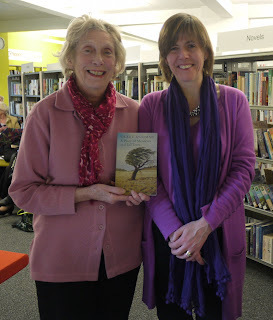 Me with a Welsh member of the reading group in specially coordinating colours. 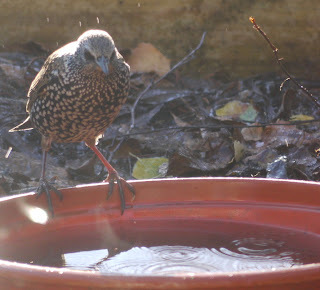 (Photo taken by Sue Stone). First the black line across the screen (I sent it back, it was replaced by three, so I sent the two extra ones back and a few weeks later was asked to send them back again, with the result that Hodmandod Senior was on the phone to Amazon for over an hour sorting that little one out), and now I plugged it in last night because the power was low, then when I got up this morning about six hours later, the amber light was still showing and when I took out the plug was told it had no power at all! I've plugged it in again over breakfast, and half an hour later it seems to be half charged already. So...I deduce from this that just because the amber light is showing it doesn't mean that my Kindle is being charged. I can't help thinking that an Apple product would never have this design failure - but then it would also be a lot more expensive too. Update: the Kindle is now recharged. I think I'm going to have to make sure it is thoroughly plugged in, in future. 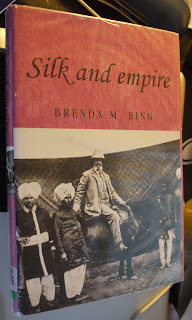 A year or so ago, I came across a book called Silk and Empire by Brenda King. I made 27 pages of notes. It dealt with a little-known story of how a man called Thomas Wardle was responsible for the invigoration of the silk industry in India. which is an appreciation of the Wardles' life and works and is sumptuously illustrated with pictures of the silk embroidery. I admire anyone who has the patience to embroider. It was something we had to do at school, a girls-only occupation, a sexism I immediately resented. We were given pieces of felt to make needle-cases and had to practise embroidering our names on the front of them in various stitches, including a girl called Jadwiga, whose second name was so long it wouldn't fit and had to be curled around the outside. 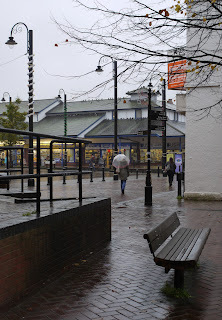 I remember her being told-off for inadequate planning, and then being ticked off again when her piece of embroidered gingham stood up in a dome because her daisy chain stitch had been drawn too tight. Poor Jadwiga, she bore all the humiliation in her usual stoic manner: I felt a certain camaraderie with the girl because she and I were always the last to be picked for teams during games. 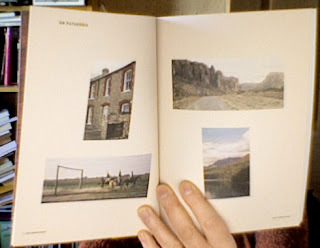 However, the grubby little bits of gingham we produced were nothing like the works of art produced by Elizabeth Wardle. 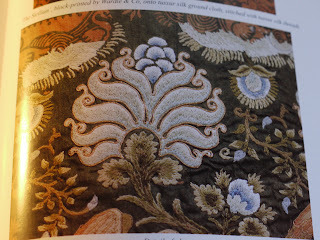 She started the Leek Embroidery Society, and using just a few simple stitches, managed to achieve some stunning effects. Faces were her particular speciality; for these she used just one colour, evoking the features by the changing the direction of the stitches. The silk she used was an especially reflective sort called tussore, one of the wild silks of India. 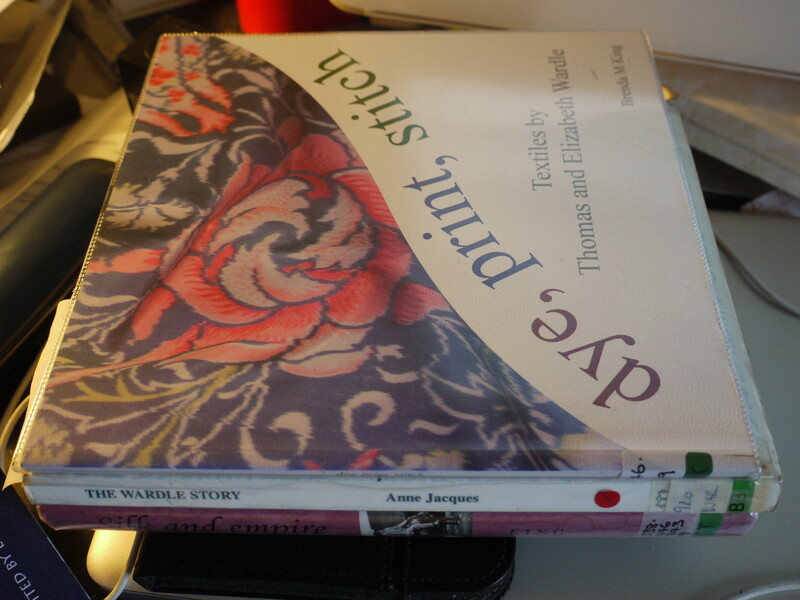 Yesterday, I borrowed both these Brenda King books from the library, together with an older book called The Wardle Story by Anne Jacques. This turned out to be a straightforward and fascinating biography, and I spent all day yesterday reading it. Following in the footsteps of his father, Joshua, Thomas Wardle started life as a dyer, and, also like his father, become interested in the challenge of getting tussore silk to take up dye. Although a strong and particularly gleaming yarn, it was difficult to colour, which limited its use. The solution lay in removing the excessive gum or seracin of the Tussore cocoon. 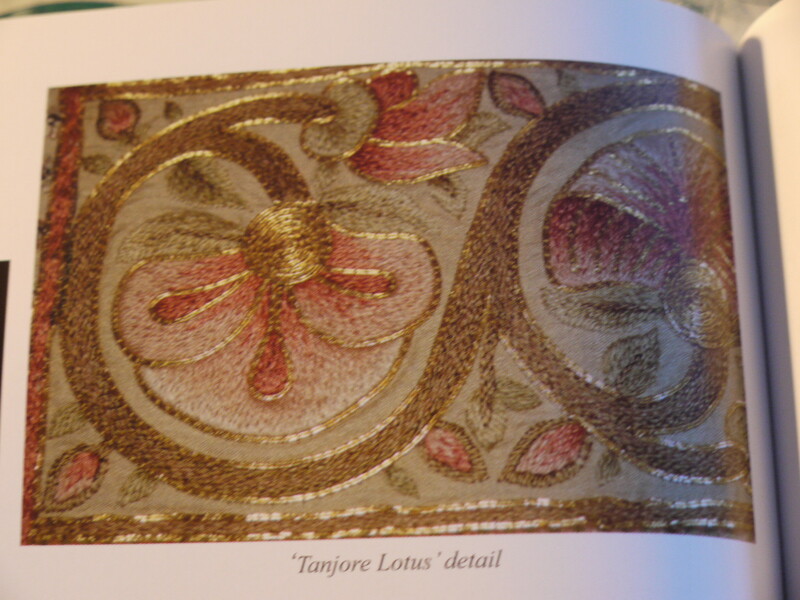 He also became interested in natural dyes, and in particular the ancient natural dyes and patterns of India. He discovered that by improving the mordant, which causes the dye to penetrate the silk, he could improve the fastness of the dye (and thereby cause it to become less 'fugitive'). The natural dyes gave more subtle, harmonious colours than the recently discovered aniline dyes, which was something William Morris, of the Arts and Crafts movement appreciated. He came to Wardle's dyeworks in Leek to learn for himself how to dye with natural colours. 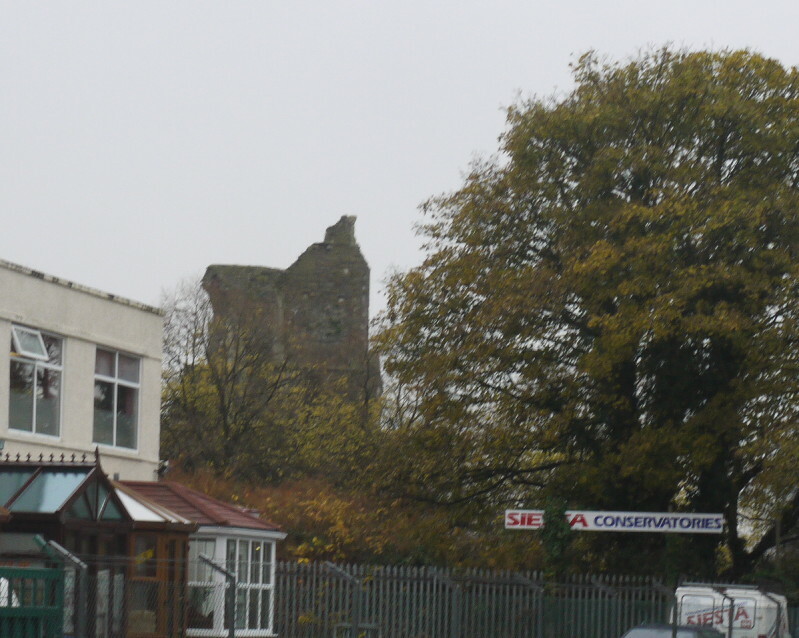 For several years the two co-operated to extend the range, the colour indigo proving particularly problematic. 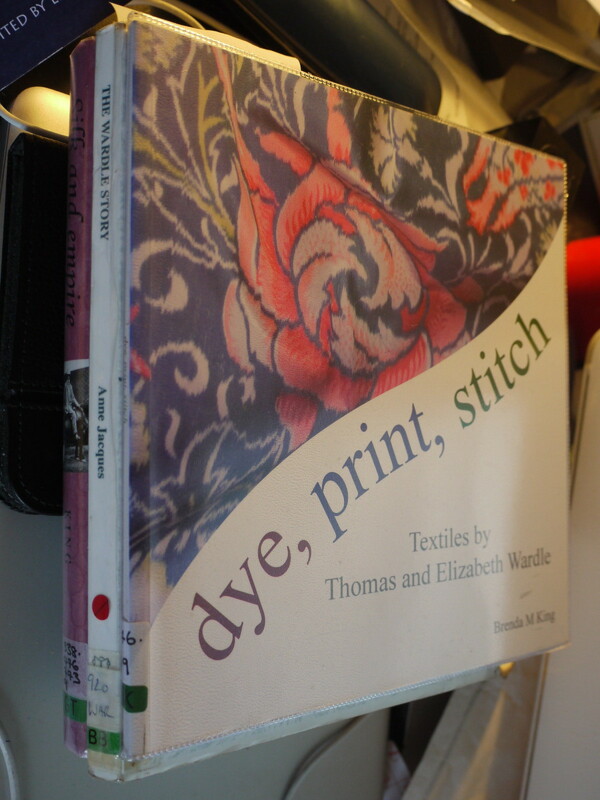 As William Morris learnt the craft of dyeing, so Thomas Wardle learnt much about design and block printing. It was a fruitful relationship for them both. 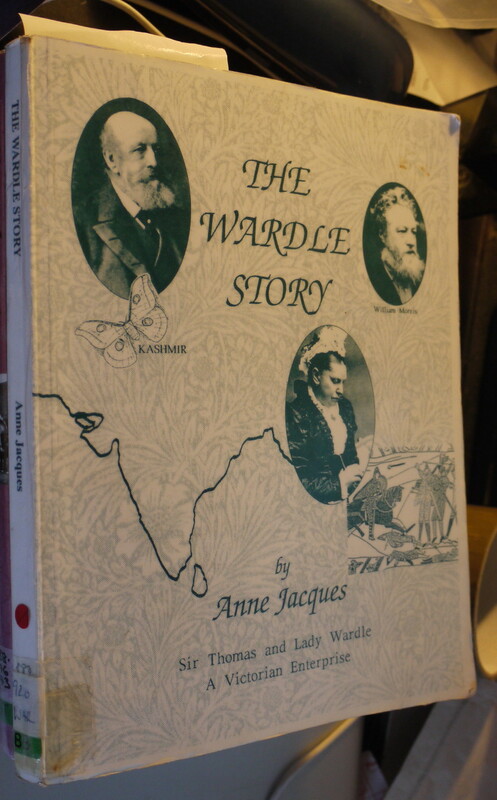 Morris sold Wardle's silk in his shop and encouraged Liberty's to buy it too, and when Elizabeth Wardle's embroidery became popular, he produced designs for her embroidery school. 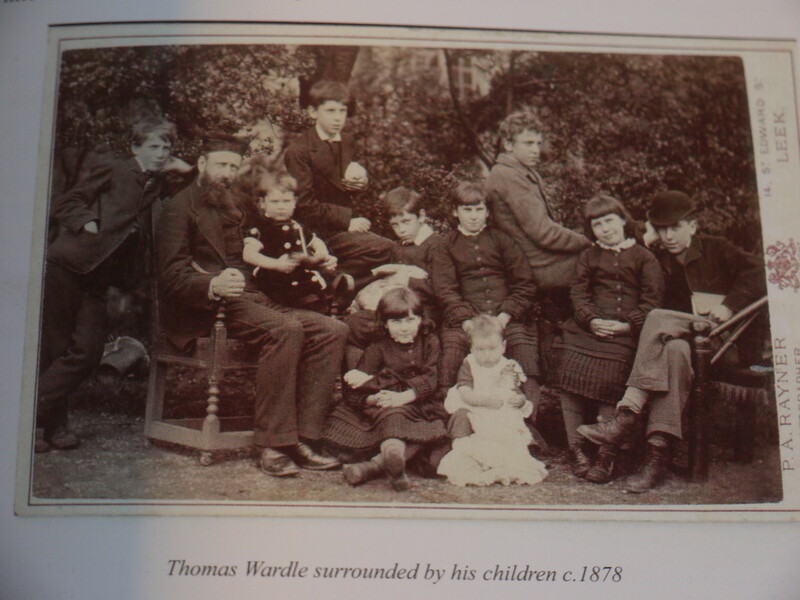 Morris was very friendly with the Wardles, and they stayed in contact until William Morris died twenty years later. From the start Thomas Wardle seems to have had philanthropic tendencies, sharing what he discovered with the people of India. His interest in dyeing led to an interest in the silk itself, finding that the quality of the Indian silk depended on the way it was reeled from the cocoon and the sericin gum binding the strands together was loosened. At first he concentrated on helping the more established silk producing areas in Bengal, and encouraged the popularity of Indian silk, particularly tussore. However, he then heard that in Kashmir, on the southern slopes of the Himalayas, bombyx mori, the domesticated silkworm of China, could be found wild and the climate was ideal for cultivating silkworms. So, towards the end of his life he advised the Indian government on what improvements in sericulture could be made there, using what he had learnt on visits to Lyon and Milan. Eventually, an industry which had been on the verge of dying out, was rejuvenated and employed tens of thousands of people who would otherwise have starved. Eventually, at the age of 72, and after his wife had died, Wardle visited Kashmir in triumph, completing the arduous journey into the mountains sometimes on an elephant. 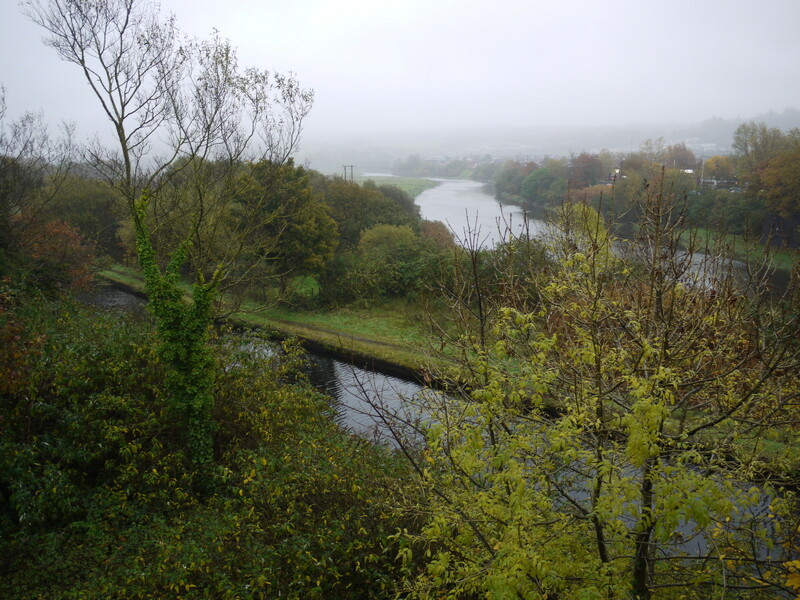 Like William Morris, Thomas Wardle was interested in many different areas, wrote books on geology, drainage, and sewage, as well as writing music, heading field exhibitions and giving popular lectures. 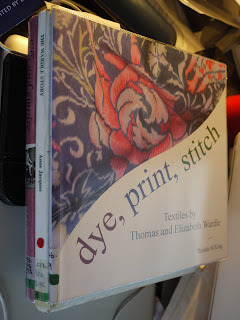 He was knighted for his contribution to the British silk industry, and yet, the book concludes, made no lasting legacy. 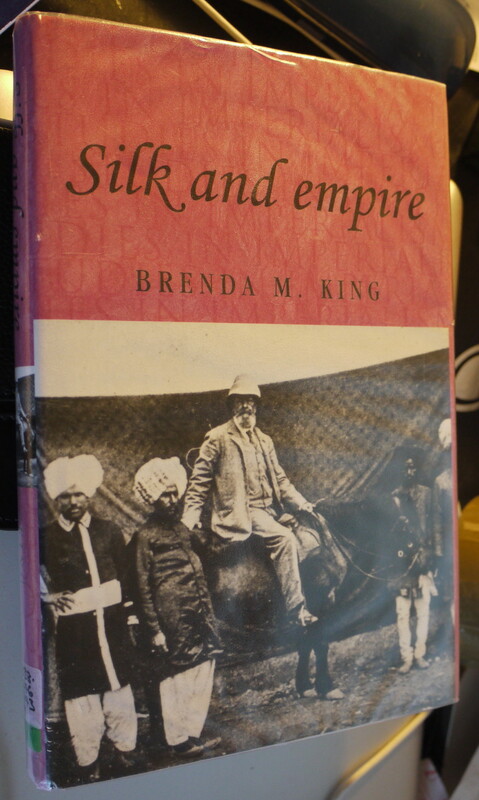 His impressive achievements in silk - both in the UK and India - did not last very long because of the advent of artificial silk and fibres which were soon to radically change the textile industry. As I think about this I wonder if it is that which really matters, or is it the way he changed so many lives which, through subsequent generations, must be an enduring legacy. 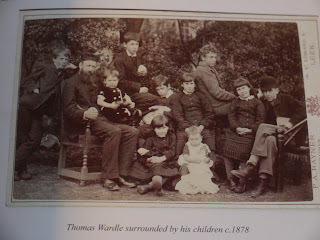 Thomas Wardle with his 10 surviving children (although the child on his lap, Francis, lived only until he was aged 10). 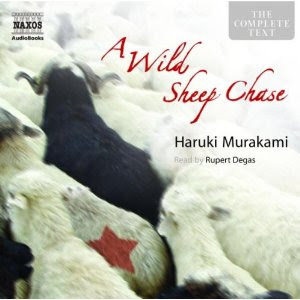 I am now on my fourth Haruki Murakami book (A Wild Sheep Chase), and it is just as hypnotically alluring as the others. Mundane things happen, and Murakami can spend several passages describing doing nothing very much except housework, while the cat (always a cat, often called Kipper) stretches beside him. Even so, every word fascinates. I'm not sure why. I think maybe it is because his choice of word is both accurate and slightly off-beat. The translation, by Alfred Birnbaum, must be incredibly skilful too, and the narration; for me Murakami and Rupert Degas are melded firmly together in my mind. In fact Degas impresses me so much I intend to find other books he has narrated, once I have finished Murakami's entire ouvre. I am noticing themes now in Murakami's work: the legacy of the second world war and the occupation of China looms large; often the lady vanishes without explanation, and twice so far a business card is offered with very little on it. Life generally goes on at a languid pace. People talk directly and slightly weirdly and profess to having offbeat powers and skills. It is all kind of deadpan. Just now, in 'A Wild Sheep Chase', a woman has talked of killing off her perfect ears, and somehow, because I am in Murakami's land, I know exactly what she means. I also understand how she can then choose to turn them back on again, and in doing so transform herself into something so beautiful the whole world stops. I have also almost finished my first book of Rudyard Kipling stories, and these are splendid too, but in an entirely different way. 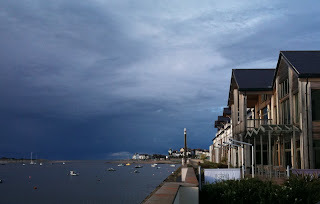 On December 11th I am taking part in a Book Fair at the Quay Hotel in Deganwy - about 40 miles away. there are the most stunning views of the river Conwy. 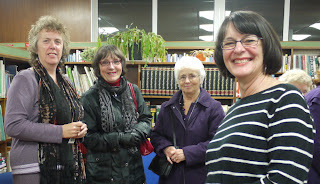 Jean Mead, the author of The Widow Makers, is organising the event and lives close by. 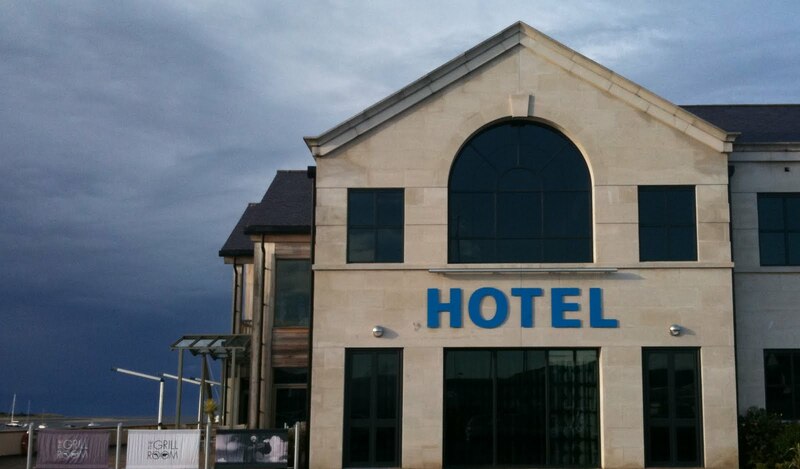 Today I met her at the Quay Hotel for lunch. Her husband is the harbourmaster, and instead of parking a car outside his place of work he parks his yacht. 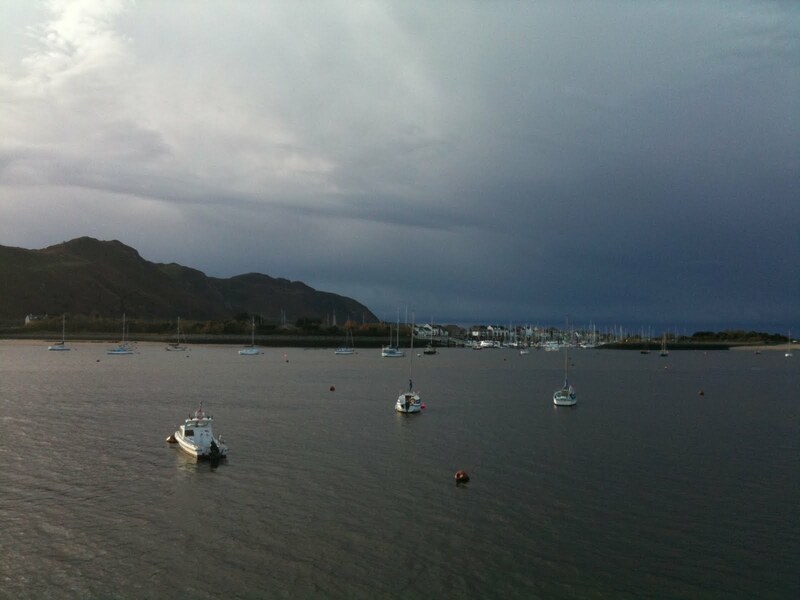 Deganwy is a place I normally just pass through on the way to Llandudno. 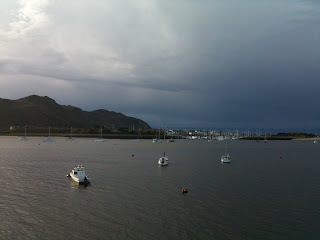 It is easily overlooked, but is close to Conway castle, and strangely enough one of the characters in A Place of Meadows and Tall Trees originated there, and from Patagonia he gazes out over the South Atlantic and imagines his mother on the opposite shore, and the seven thousand miles that divide them. Sunday Salon: Clash of Innocents by Sue Guiney...and Kipling's Plain Tales from the Hills. 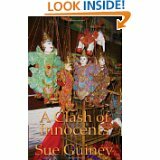 This morning I woke early but happy in my nest of quilt I reached out, grabbed Sue Guiney's A Clash of Innocents and finished it off in one large gulp. 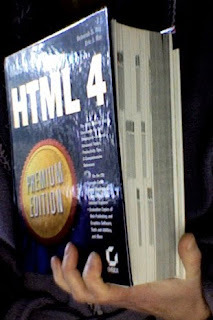 It has a heart-warming ending, and I have found the book as a whole to be addictive and very interesting. I learnt a lot about the country of Cambodia, and I particularly liked the main character, Deborah, a sixty-year old 'Mother' of a children's home for orphaned and abandoned children. Her good-hearted nature, which may have become cloying was happily off-set by her brusque and feisty demeanor, and some realistic and unconventional habits. Her relationships with Kyle, an Australian land-mine hunter, and Amanda, an American back-packer who one day appears at the home, is ambiguous to the last. It is the enigma of Amanda - where has she come from, why is she there, who she really is, which provides the main impetus for the story; while the coming of age of her eldest child, Sam, provides another, much gentler imperative. The back drop of all this is the history of Phnom Penh, in particular Pol Pot's atrocities, and how people comes to terms with such violence is the main theme of the book. Cambodia is sumptuously portrayed: the colours, the bustle of the streets, the traditions, and the pattern of the year, which is accentuated by the chapter heading - beginning in a anomalously cold February, which rapidly leads to the stifling summer months. 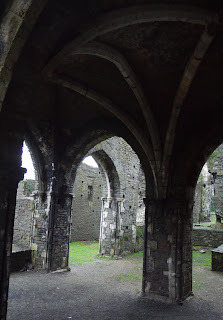 In fact, the sense of place so vividly evoked that a part of me was convinced I was living there too as I was reading - and it stayed with me when I was forced to put the book down. It was convincing book, and it was a book I am very glad to have read. It has expanded my understanding of the world. Still reluctant to start my day, I then indulged in another story from Rudyard Kipling's Plain Tales from the Hills called False Dawn. What a fabulously jingoistic writer he was! Displays of emotion are condemned as 'unEnglish', men are supposed to be blindly insensitive to these emotions unless 'they have more of the woman than the man in their composition', and when such emotions are evoked in the dialogue of one of the characters this is not repeated by the narrator 'because she was utterly unstrung'. The setting, British colonial India, is essential to the plot, just as much as present day Cambodia was essential to 'A Clash of Innocents. The story itself is hilarious: a pair of sisters, the elder one generally agreed to be 'nicer' and more desirable by the narrator, is pursued by a newcomer, the narrator's friend. A party including all four is trapped by a sandstorm at night and they can barely see each other. In the confusion, the newcomer proposes to the 'wrong' sister. 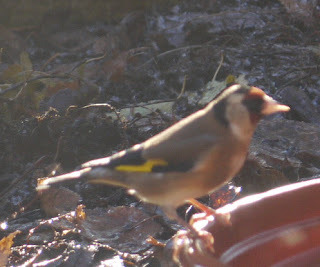 He then instructs the narrator to chase after the other one - which turns out to be the younger undesirable one - apparently this was the one the newcomer was after all along. The narrator then explains the mistake to this younger sister and insists that she comes back to join the rest; but then the newcomer rides back with his mistake - presumably social mores dictate he is just going to have to live with it. I am finding that reading these stories that wrote for adults very entertaining - as well as opening a window on the past. On our first holiday together Hodmandod Senior and I bought some violets from a seller in the Paris Metro. 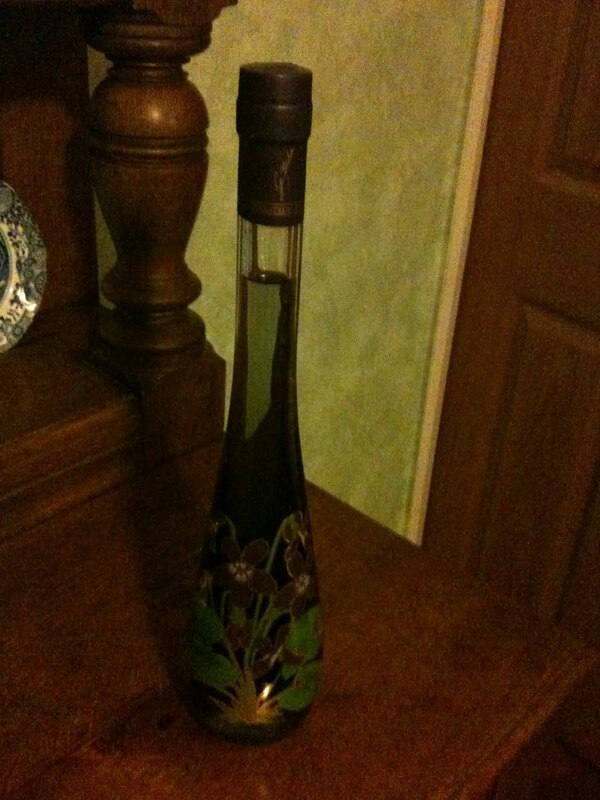 Today we discovered the essence of the those flowers in a bottle. shaken with a glass of ice and strained. It had a bitter-sweet flavour and the attractive aroma of violets. We have called it Dudman Delight. Next time we are going to try to make Hodmandod Delight - using grenadine instead of the sugar. Buffy the Vampire Slayer (with many thanks to a kind donor) - and looking for evidence of Greek Tragedy. A Clash of Innocents by Sue Guiney. 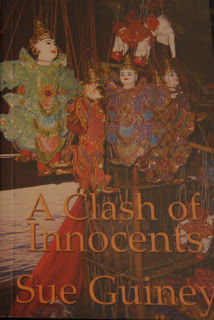 This is set in Cambodia and I am much impressed - great writing and very interesting too. 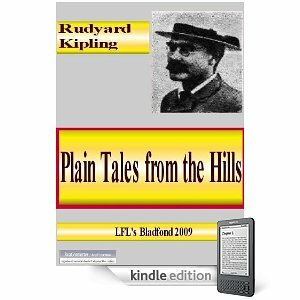 Lisbeth, a short story by Rudyard Kipling, having downloaded Plain Tales from the Hills, Indian Tales and Kim last night. Time is a strange thing. We plod it out with our own steps. Sometimes big strides. Sometimes something more tentative. Five years ago today my brother died. 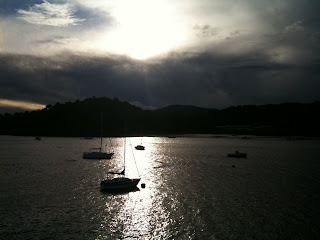 The time in between, when I think about it, seems full of both strides and steps. A stride away from the meal I ate last night, but just a short step back to his face, his voice, his hug. 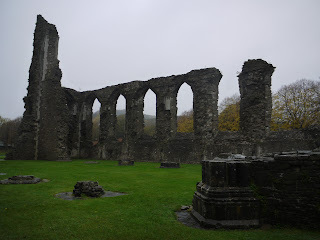 Yesterday I drove through heavy Welsh rain to Wrexham to give a talk to students taking the Welsh Baccalaureate. 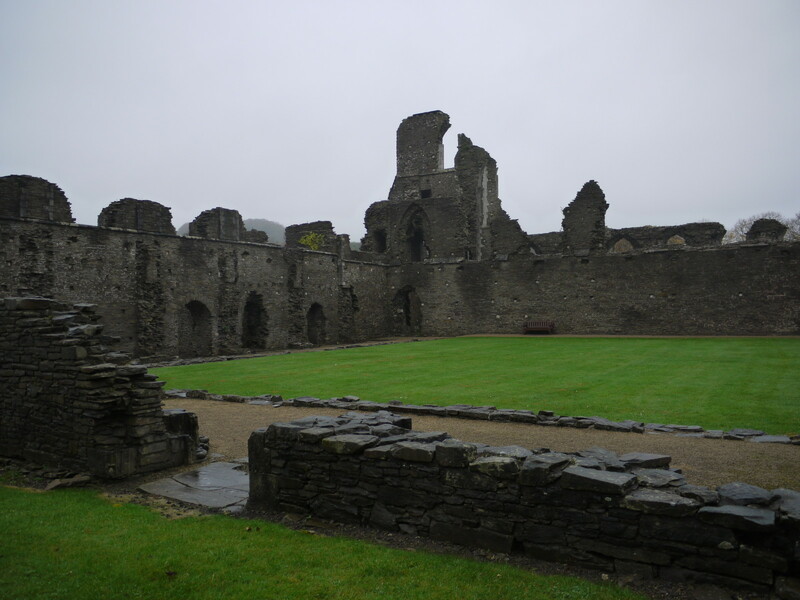 The Welsh settlement of Patagonia is part of the syllabus. There was a good-sized audience and they listened very well. There is a prickliness to an audience of that age. I remember it well. They do not feel they have to please. Instead, they expect to entertained, and they are as merciless to a minor 'celebrity' (TV presenter, radio producer, MP) as they are to a familiar teacher. So, as neither celebrity or teacher, I feel fortunate that I got away with it. 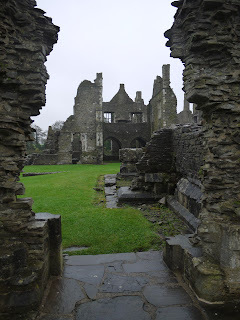 Last Thursday and Friday I went to south Wales - spending the night in Neath but reading in Skewen at the invitation of Paul Doyle, literacy officer for the area. 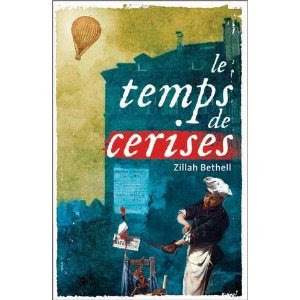 I was reading alongside Zillah Bethell, whose book Les Temps des Cerises, has just come out with Seren. It is set during the period of the Paris commune, a period I'd never heard much about before, which I found very interesting. The story is excellent too with Dickensian-style, quirky characters (one, for instance, sleeps in a coffin) and has a satisfying twist at the end. 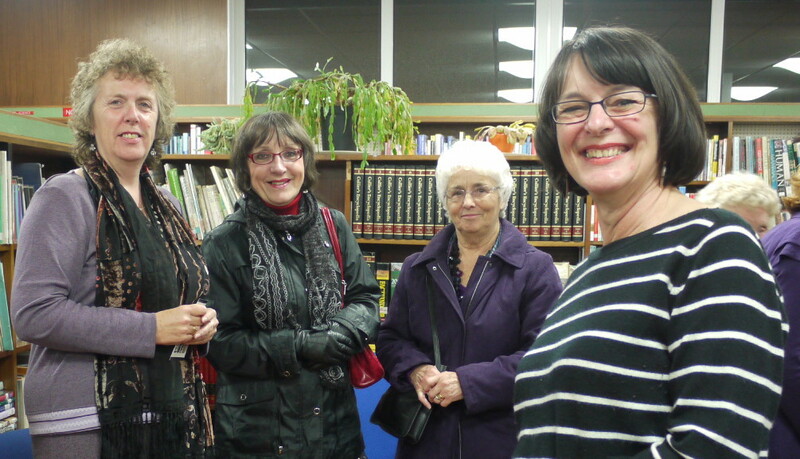 as well as various members of the Skewen reading group. They meet at lunch-time once a month, and although the library is officially closed, the librarian kindly lets them meet there during her lunch-hour. There were some good questions from Paul and the group and I thoroughly enjoyed myself. 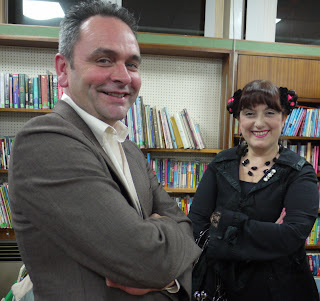 Thank you Skewen library. and gave the ruins a suitably mysterious air. incongruous and crumbling, reminding the modern world that all things pass. Good morning Sunday Salonists. This week has been a good one. I read Zillah Bethell's 'Les Temps des Cerises' for a library event in Skewen (report forthcoming), finished Haruki Murakami's 'Dance, Dance, Dance' (and now have to wait until mid-November until I get its prequel on audiobook) and reviewed Natalie Hayne's The Ancient Guide to Modern Life. Natalie has kindly agreed to an interview and it is posted it below. It is guaranteed to brighten your day - if not, your money back. 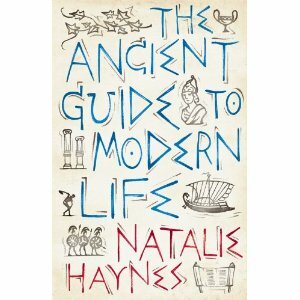 Natalie Haynes specialised early, taking triple Classics at A-level. She graduated from Christ's College, Cambridge in 1996. 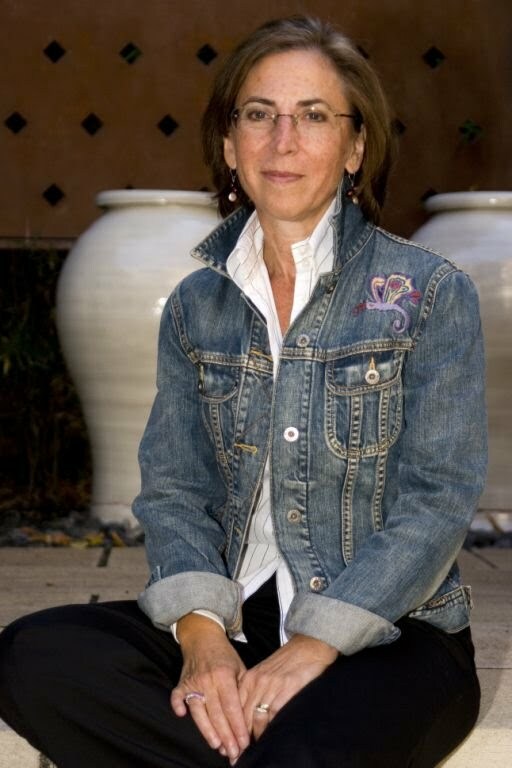 She is an award-winning comedian, journalist, and broadcaster. 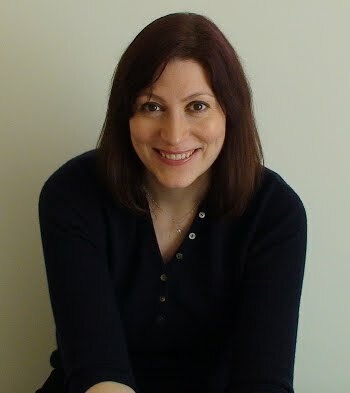 She is a regular panellist on BBC2's The Review Show, Radio 4's Saturday Review, and the long-running arts show, Front Row. 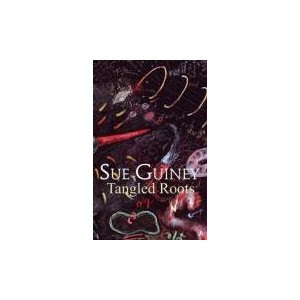 She wrote and presented Classical Comedy and OedipusEnders for Radio 4. She has been a guest columnist for The Times since 2006. CD: Obviously you loved the classics at school, and there is a movement to bring it back into schools. 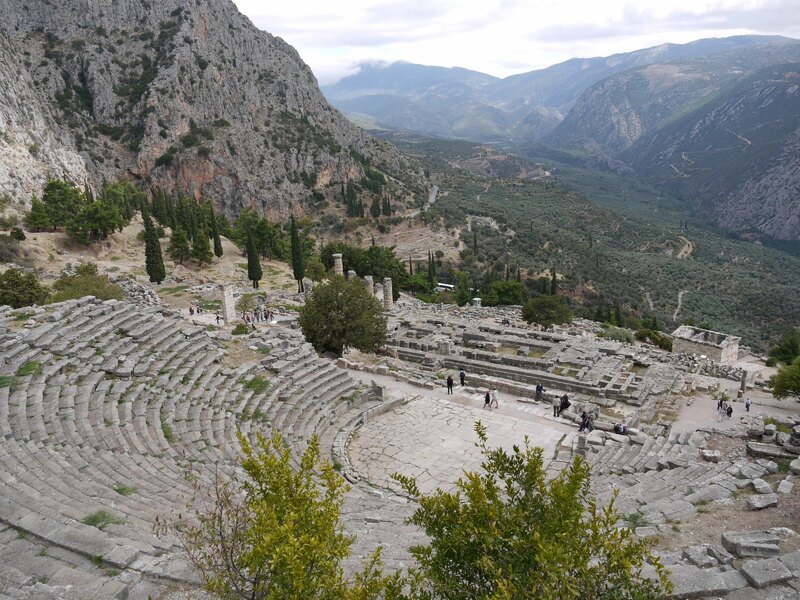 I think the way you compared aspects of modern-day culture like Buffy with Greek epics and tragedies would make it very enticing to teenagers - and made me see the programmes in a new light! What would you say is the most important reason children should learn about the classics? NH:For their own sake. I think learning Classics is useful for all sorts of purposes – you spell well when you did Latin and Greek, you are good at crosswords etc etc – but they aren’t a stepping stone to anything but themselves, Classics are their own reward. Which isn’t to say that it isn’t fun being able to watch Buffy or the Wire and spot the Classics within… But mostly you should read the Aeneid because it’s awesome. The Buffy stuff is a bonus. CD: If you hadn't fallen in love with the Classics at school what would have been your second choice? NH: Heck, I don’t know. They got me so young. Maths, maybe. I liked maths a lot. CD: How has your knowledge of the classics helped you in your career (or life)? NH: I think it gave me an unusual edge in the arts journalism/broadcasting world. People saw me (quite understandably) as a comedian, when I first turned up on things like Front Row and Newsnight Review. But when they discovered that I had the whole Classics thing going on, I think it moved me out of one box and into a lot more. The downside to telly and radio is that everyone is trying to make programmes quickly and cheaply. If they know you bring more than one thing to the mix, they’re delighted. If you bring something which a lot of people don’t – whether it’s Classics or Physics or whatever – you are a useful commodity. Not that that is something to aim for, but it is handy. 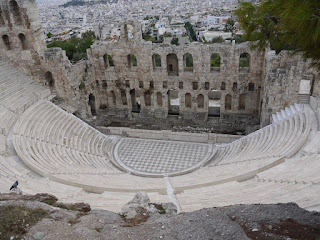 The Roman amphitheatre below the acropolis in Athens. CD: Why did you decided to write about both the ancient Greeks and Romans (rather than just the Greeks or just the Romans)? NH: I would have got terrible guilt leaving either of them out. Even now, I feel bad that there’s not very much on the Carthaginians. But if I’d just done the Greeks, Catullus or someone would surely have come to haunt me. And if I’d just done the Romans, I think Aristophanes would have mocked me in my sleep. Frightening thought. Also, I guess it means the book covers over a thousand years of history and an awful lot (don’t ask me how many…) of square miles, which makes it – I hope – a more satisfying, solid read. 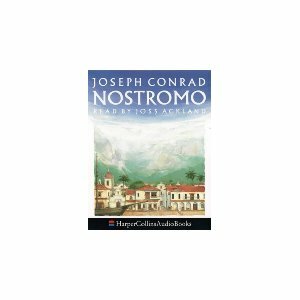 CD: Reading this book has made me really want to read some of the classics. How do you advise a beginner like me to start? CD: I hadn't realised we owed so much to the Greeks and Romans. What would you say was the most important thing they each gave us? NH: Lawks, that’s a tough one. I think, for me, the most important thing is the tendency to ask questions about big stuff – how to be happy, how to live well, how to govern, how to legislate. There are lots of things to dislike about how the Greeks and Romans lived, but that’s something they did amazingly, and which we sometimes forget to do ourselves. Asking questions about the world shouldn’t be the preserve of children. But, obviously, my second answer is ‘loads of cool stuff to read’. CD: One of my favourite chapters was the one on performance and literature 'There's no business like show business'. 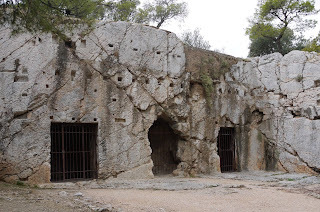 I had no idea that the Greeks gave us many literary forms, and yet the Romans just one: satire. 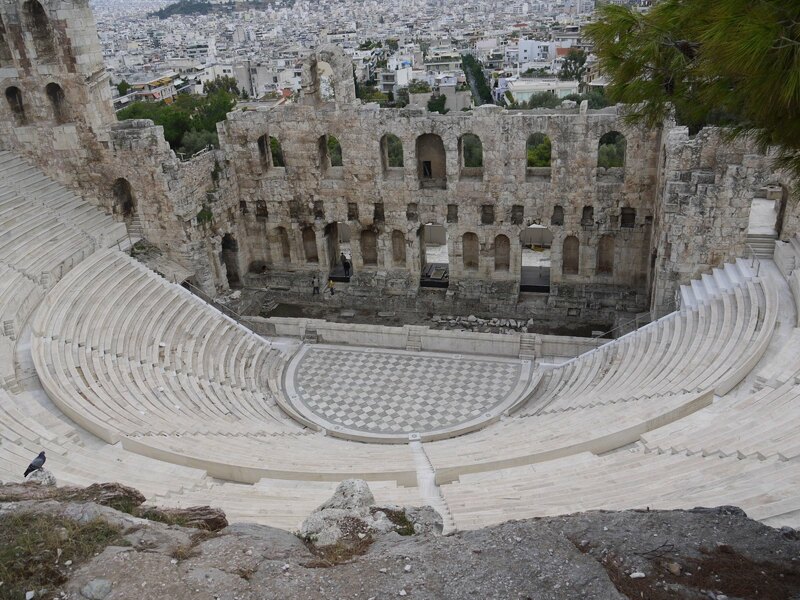 What is your favourite Greek literary form, and who is your favourite classic author? NH: Tragedy, and Euripides. Easy. Actually, difficult – I love Aristophanes’ comedy, I love Thucydides’ history (though that wasn’t true when I was trying to plough through my translation homework at school), I love Plato like you wouldn’t believe (though not in a weird way. I’m very chaste in my literary crushes), and I adore Juvenal, even though his attitudes are indefensible. But Euripides wrote the most amazing women – Medea, Hecabe, Phaedra. He wrote female heroes (who have the lead roles, behave in shocking ways and generally thrill an audience today, perhaps more so even that they did 2500 years ago). He wrote tight, angry speeches that are impossible to forget – who wouldn’t remember Medea declaring that she would rather stand three times in the front line of battle than give birth to one child? What an extraordinary thing for a writer to do – at almost any time in history – explicitly compare the heroism of childbirth with the heroism of facing death in war. Astonishing. NH: I am afraid of invertebrates in any form. Snails I’m probably less afraid of, because a) they are rarely in houses, and b) they are quite slow-moving. But afraid I remain. NH: Sadly, my memory is the kind which sort of levels things out – mainly so I can stop grinding my teeth at all the people who left me furious years ago. Now I often find I can’t even remember their names, which is clearly preferable to still being consumed with rage. But the downside is, it does the same thing with the good stuff, and I forget it. 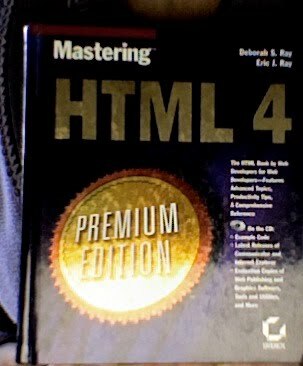 Getting the first copy of AGTML was pretty great (and only happened a month ago, so I haven’t had time to forget yet…). I once played a comedy show for three nights at a theatre in SoHo in New York, and then three nights at the Soho Theatre in London in the same week – that felt good. And it was nice to get Perrier nominated, even if that was a long time ago. NH: The death of my grandmother in 2004. I wrote about it, thought about it, cried about it, for months, maybe years. It was a dark time. 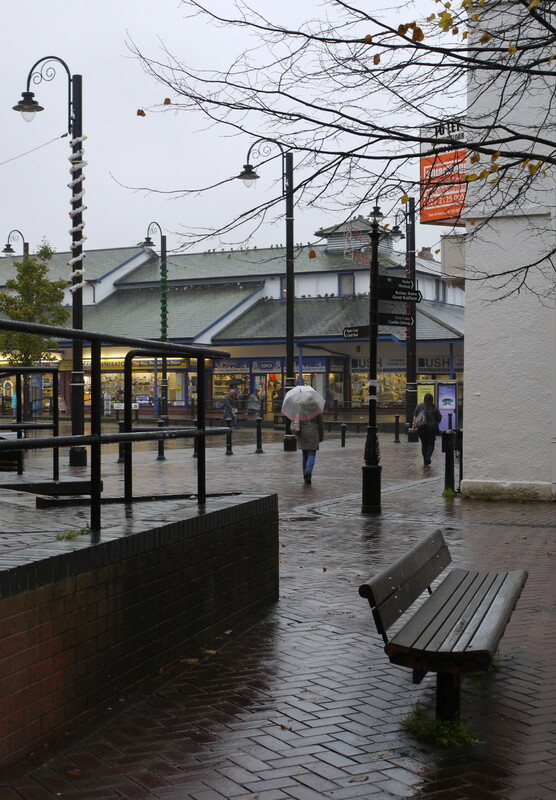 And it’s especially annoying that she didn’t live to see me become a published author, as she worked in a bookshop. NH: Oh dear, I am chronically, dreadfully sentimental. I once cried at a picture of a sad horse whose hooves hadn’t been trimmed for ages. I am pathetic. But generally, anyone being brave makes me cry. Anyone being old and brave makes me cry (see previous answer). Anyone being self-sacrificing makes me cry. Don’t tell me a sad story, will you? I’m not up to it. NH: It’s an ongoing process, like Aristotle says, not a state. You have to work at being happy sometimes – not just sit there being not-very-happy. It also requires a little self-analysis, I think – people are very quick to say what they don’t like. 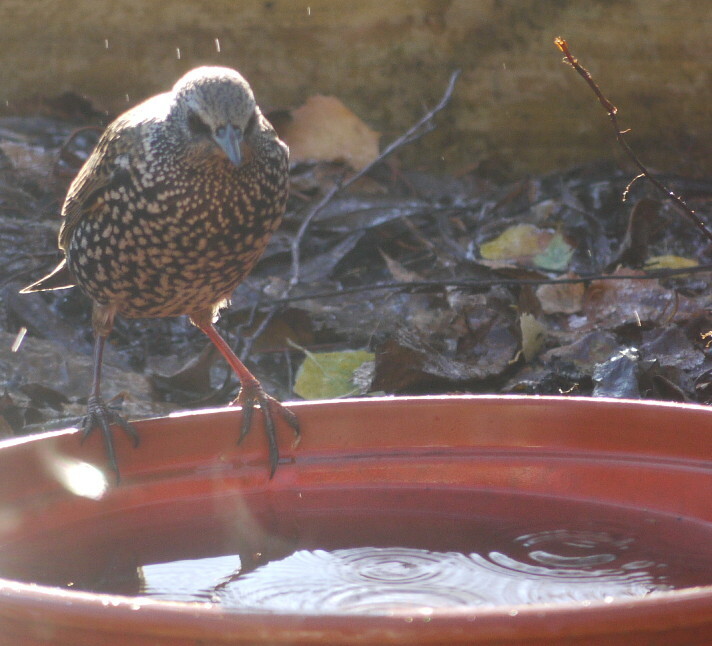 Not as quick to work out that if, say, walks on bright autumn days make you happy (as they do me), it’s worth taking them even if it takes you longer to get home and you get tired feet. They’re only feet. They’ll recover. NH: Juice. Email. That is really lame, actually.